Nature and its ways are a powerful and mysterious force of the universe. Grains produced by nature and nurtured by man provide sustenance to us. Our book unravels the mysteries of the various grains which nourish us. It gives information, impart knowledge and make us aware of varying facets of grains and the process of growth. Our firm is offering a vast array of Comic Book to our prestigious customers. In the printing process, these books are designed using high grade factor inputs and modish technologies in complete compliance with the set quality norms. The offered range is strictly checked on variegated norms in order to ensure its flawlessness. An incisive and hard-hitting narrative that reveals the behind-the-scenes activities affecting the Kargil war. Adventure and intrigue in the magical land of ancient Persia! Read all about the fascinating adventure of Alibaba and his clever servant Morgiana as they deal with a band of forty dangerous thieves. This entertaining tale from Thousand and One Arabian Nights makes for a delightful reading time. Specifications of The Mouse and the Loin Story (Hindi) DETAIL SPublisherPanchtantra ki KathaBran..
Barbie, Nikki and Teresa have won backstage passes for their favourite pop star's show. Soon they are all glammed up in great dresses, standing on stage singing - with Scarlet star. 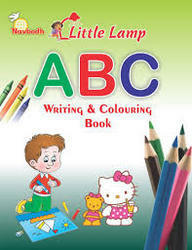 We are offering wide range of non-fiction books. These books are perfect companions for early readers. Simple words with wipe-clean pages so the reader can practice writing with the pen cover mounted to front of book. Editorially easy-to-read and understand Bright, fun Disney art on each page. 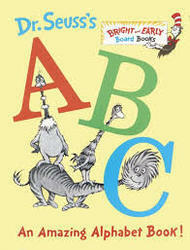 Perfect for young readers and their parents. - Imprint: Ashlar Education Consultants Pvt. Ltd.